Leeds Limo Service specialise in Sporting Occasions Limousine Hire. 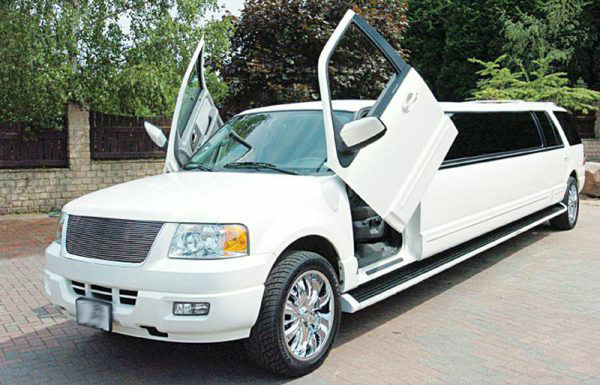 Click here to call Leeds Limousine Hire. How to Book a Memorable Limo Experience built around your Sport in Leeds in Just 3 minutes. It’s not just the Luke Murphy's or Carl Ablett's that deserve the red carpet treatment; YOU do too! And that’s just what the Leeds Limousine Service can provide for you and up to fifteen guests to travel in the Ultimate luxury to and from your favourite sporting events and trips. 1. Local Knowledge. We know what and where it’s happening. Whether you want a ride to Elland Rd for the football or Headingley Carnegie Stadium to watch the rugby, we will take you like a sports star arriving, your favourite drink chilling in the fridge for the journey there and a theme of you team in the limo if you wish! 2. Availability. We know the importance of grabbing your sporting tickets asap. Leaving it too late can cause problems and can result in your being tickets being completely sold out—even if you can get tickets; they will usually come at a much more expensive. Of course booking your Limo early means everything is in the back of the net so you can chill out and look forward to the event. 3. On your terms. Take advantage of the convenience that comes with our premier league service. You’re not only going to travel in the ultimate style, but you’re also going to get the V.I.P treatment for your whole experience with Leeds. No worry about traffic as you can chill with another cold one from the bar, to parking restrictions to worry about, and experiencing the crowds parting just for you to be dropped off at the venues doors where all the heads are turned to you as we give you a celebrity entrance! ​4. Hummer H2. Stepping up to the premiership, our fully licenced Hummer that takes up to sixteen passengers, which allows you to create a unique party atmosphere singing all of your teams anthems that allows you to party the night away in your very own mobile nightclub where you ensure your favourite sporting clips are screened throughout the trip to and from the event. This gives you an ideal time to have a blowout with your mates. Leeds Limo Service promises to make all of this happen for you and your friends to have a fantastic sporting day out. Next step, simply fill in the form on the right for a ‘No Hassle Guaranteed’ FREE quote (We Promise). 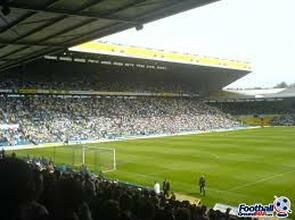 Leeds Limo Service prides itself in offering the best Limo Hire for Sporting events at affordable prices. Or call today on 0113 320 3616 and ask for any special offers and discounts that we might be running.